As of May 10, Maine students must receive the meningococcal vaccine before entering 7th grade -- typically around age 11 -- followed by a second dose when they are 16 or before they enter their senior year of high school, the Maine Center for Disease Control and Prevention announced on April 18. In a move aimed at protecting more young Mainers from contracting and spreading a deadly bacterial disease, the state will officially mandate a vaccine in the next school year to prevent meningococcal disease. As of May 10, Maine students must receive the meningococcal vaccine before entering 7th grade — typically around age 11 — followed by a second dose when they are 16 or before they enter their senior year of high school, the Maine Center for Disease Control and Prevention announced on April 18. Students who have not received a first dose by age 16 will need two doses before starting 12th grade. Until now, the vaccine has been recommended, but not required, for entry into school. Spokeswoman Emily Spencer of the Maine Department of Health and Human Services said in an email on Monday that the new requirement brings Maine into alignment with longstanding federal recommendations. “Meningococcal disease can affect all ages, but teens and young adults are at highest risk of getting this disease,” Spencer said. The meningococcal vaccine has been recommended by health care providers for more than a decade, she said, and is a school requirement in more than 20 states. The guidelines have been clear since they were first set forth, in 2005, by the national Advisory Committee on Immunization Practices, which develops recommendations for the U.S. Centers for Disease Control and Prevention, according to Dr. Stephen Meister, president of the Maine chapter of the American Academy of Pediatrics and director of pediatrics at MaineGeneral Health in Augusta. It’s not unusual for there to be some delay before states officially adopt national recommendations, Meister said, and physicians generally make changes well ahead of when they are required. In Maine, he said, it has been standard practice for several years to recommend meningococcal vaccine at age 11 and again around age 16. “Government always lags behind,” Meister said. According to a statement form the Maine CDC, Maine ranks slightly higher than the national average in immunizing teens 13-17 years old from meningococcal disease — 83.5 percent compared to 82.2 percent compliance. The deadliest forms of meningococcal disease, largely prevented by the vaccine, are caused by exposure to the bacterium Neisseria meningitidis. The organism can exist harmlessly in the nose and throat without causing illness, then flare into a lethal and fast-moving infection. The most common kinds of bacterial meningococcal disease are meningococcal meningitis, an infection of the protective membranes that cover the brain and spinal cord, and sepsis, in which infection leads to pneumonia, organ failure and other life-threatening conditions. The bacterium spreads easily, in respiratory and salivary droplets, especially in crowded environments such as classrooms and dormitories. Symptoms develop quickly and may include high fever, headache, stiff neck, nausea, blurred vision and confusion. The infection may become life-threatening within a few hours. Caught early, bacterial meningococcal disease can be treated with antibiotics. “But it is so fast and so virulent that it is hard to treat,” Meister said. Even with antibiotic treatment, according to the U.S. CDC, 10 to 15 percent of individuals infected with meningococcal disease will die. Among survivors, nearly 20 percent will have long-term disabilities, including the loss of a limb, deafness, nervous system problems or brain damage. Nationally, rates of meningococcal disease are generally low, with only about 370 confirmed cases in 2016. In Maine, only one case was confirmed in 2016, and one case, in Cumberland County, has been reported so far this year. Infectious disease tracking data for 2017 has not been finalized. Rates are highest among newborns who have contact with infected children and adults and among young people aged 15 to 23. Meister said immunizing adolescents and young adults is an effective strategy for protecting both age groups. Others, including infants and adults, may meet certain U.S. CDC guidelines for a vaccine. 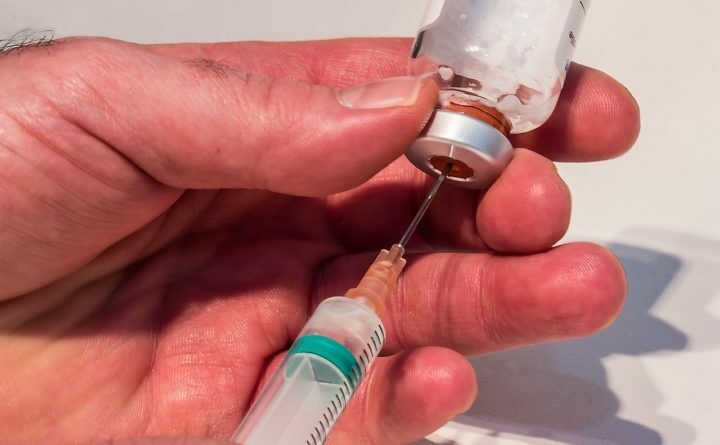 In addition to the new school requirement, a vaccine against tetanus, diphtheria and pertussis, or whooping cough is also required around age 11 in Maine. Some exemptions are available on medical, religious or philosophical grounds. A vaccine against sexually-transmitted human papillomavirus, or HPV, is strongly recommended at age 11 for both girls and boys, in order to develop immunity to the cancer-causing virus well before they become sexually active. Health experts recommend an annual flu vaccine for almost everyone, as well. The meningococcal vaccine, administered as an injection, is covered by private insurance and also available to all Maine children under age 19 through the Maine Immunization Program.